Ready to for the big game this weekend? If you’d like to spend more time watching the game than cooking for it, turn some of the kitchen tasks over to your kids. Of course some of the trickier jobs are better for older kids, but there are jobs that’ll work for even the littlest tykes (avocado mashing, anyone?). With that thought in mind, we’ve created a roundup of some of our favorite easy appetizers that kids can help prepare. 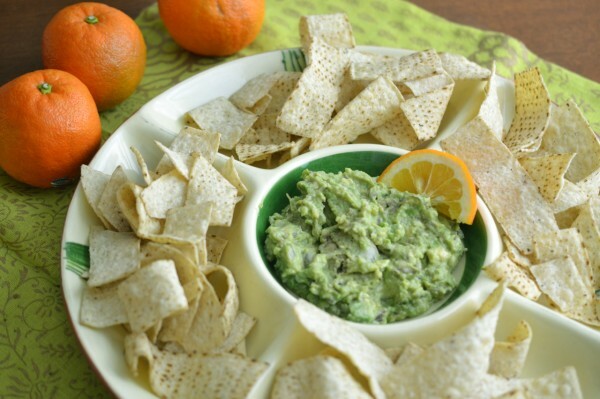 We’ll start with our favorite Game-Day Guacamole with Seville Oranges and Onions (since we’ve already mentioned avocado mashing). If you don’t happen to have Seville oranges on hand, any tart juicing orange (such as Valencia) will do. Do your kids enjoy using cookie cutters? 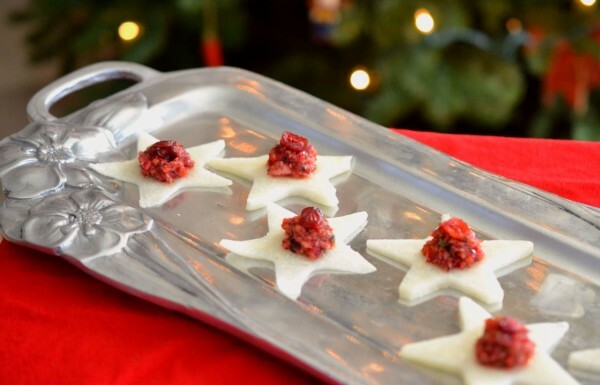 Then give them a chance at these Cranberry-Jicama Star Appetizers. One young person can use the cookie cutters to shape thin slices of jicama; another can operate the food processor; another can be in charge of putting little dollops of cranberry relish on the jicama. Here’s another fun job – making wonton cups. Even the littlest fingers can help spray a muffin tin and then carefully lay wonton wrappers into the molded shape to make wonton cups. 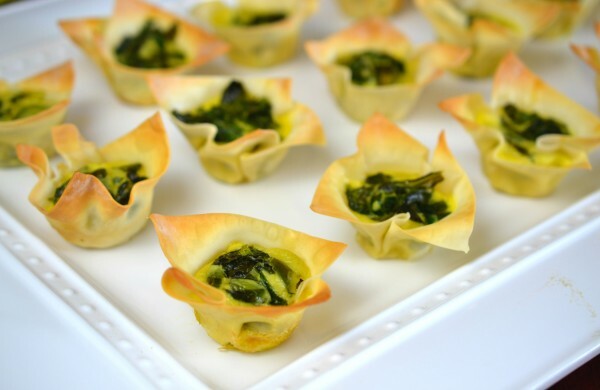 When we made these Gai Lan Egg Cups (also a great treat for Chinese New Year) we actually had kids arguing about who got to do more wontons. If gai lan is not your thing, you can also just make crispy wonton cups and then fill them with your filling of choice (Asian chicken salad is one of our favorites). Beyond that, our kids also enjoy spinning salad greens; juicing lemons or limes; pitting cherries or olives; chopping fruits and vegetables (for bigger kids); putting chips, crackers, nuts, and dips into bowls; and filling water glasses with ice. (You can get more ideas in our Kids at Work story here.) Basically, your kids are like your mini sous chefs and servers. Might as well put them to work.